We always look forward to celebrating Dr. Seuss's Birthday on March 2nd (also known as "Read Across America Day.") Here are ten things we did last year to celebrate! *Set up your own lake and go fishing. I created the water by spreading out a blue blanket. 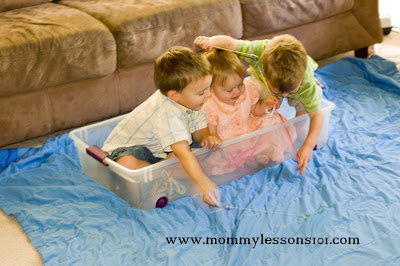 The "boat" was an empty storage box. 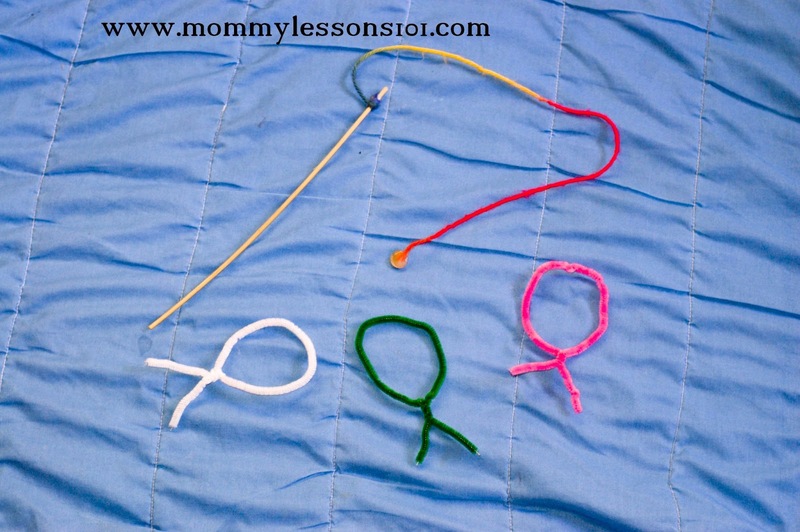 The "fish" were made from chenille stems that I bent into fish shapes. I created fishing poles by attaching a string to a wooden stick and then attaching a magnet to the base of the string. Because the chenille stems have metal in the center, they were able to stick to the magnet on the fishing pole. *Count with goldfish. 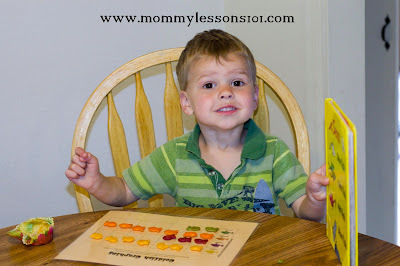 Use one of these free printable counting mats or this colored goldfish graphing chart! *Create your own "oobleck" and have fun playing with it! 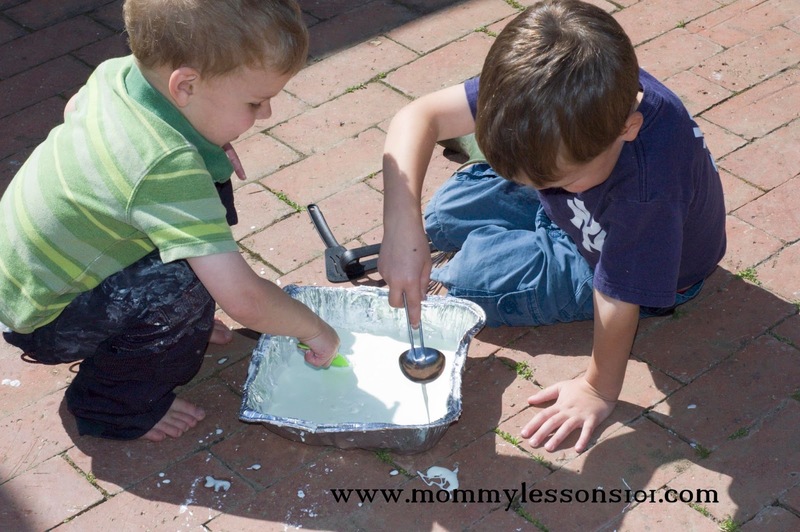 Here's the recipe for "oobleck." It is a unique substance to play with because it acts like a solid in some ways and acts like a liquid in other ways. (You could also use this in conjunction with a science class about states of matter). Mix ingredients together in a medium sized bowl. (Add water slowly as it may not need entire cup!). *Make your own pink flower and "speck." 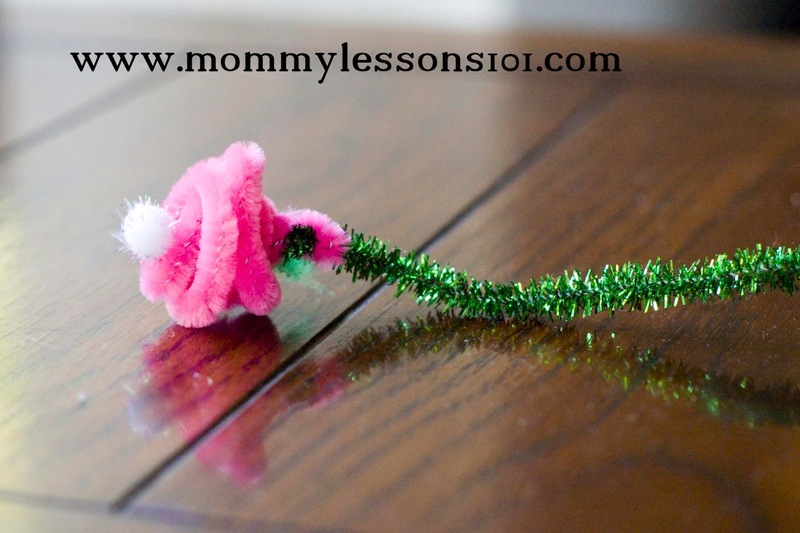 You could do a flat flower on a piece of paper as we did here, or you could make a three dimensional flower with chenille stems and a pom pom for a "speck." *Make your own silly Lorax mustaches to wear. 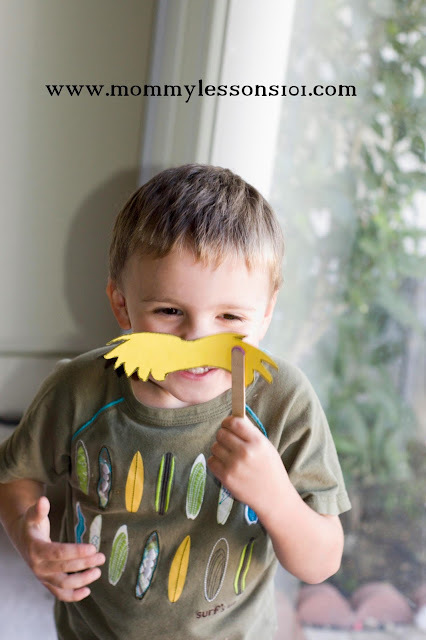 Just draw a mustache yellow paper, decorate if desired, and then cut it out. Then tape your completed mustache to a popsicle stick and hold up for a fun photo! *Make a miniature hot air balloon and take some of your favorite action figures for a ride. 1. 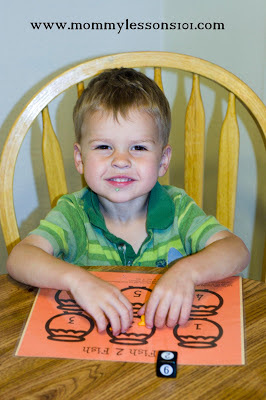 Cut out a piece of construction paper that is big enough to circle your plastic cup. 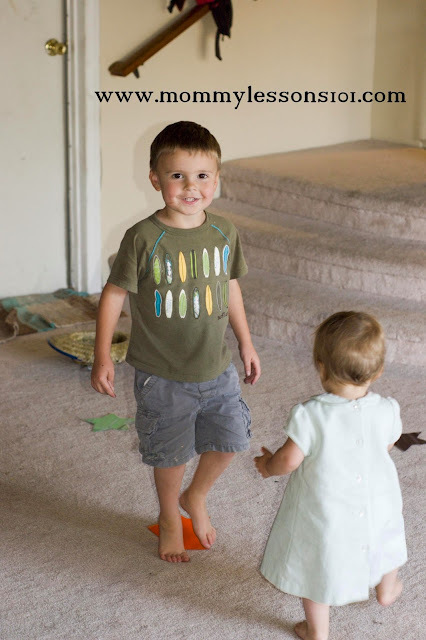 Decorate with markers or stickers if desired. 2. Tape the bottoms four chenille stems to the sides of your plastic cup and then tape the decorated piece of construction paper around your plastic cup. 3. 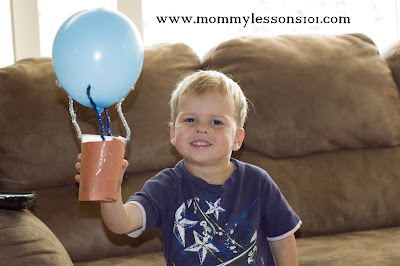 Blow up a balloon and tape the tops of the four chenille stems to the balloon. 4. Take your favorite action figures for a ride! *Make a yummy "cat in the hat" treat. Use one half of an oreo for the base. 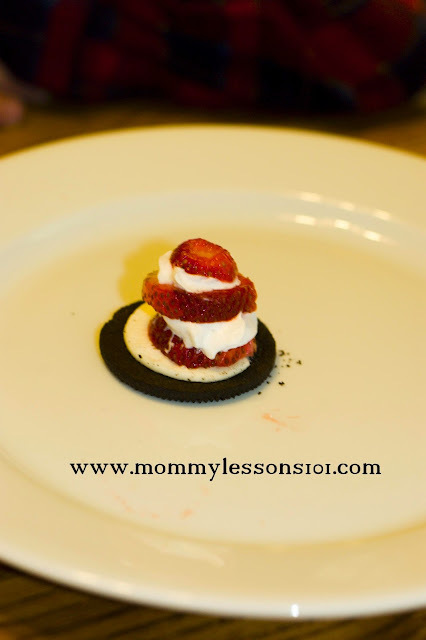 Then layer slices of strawberry and whipped cream to create the stripes on the "hat." *Place freeze dance or "musical chairs" with stars. Turn on some silly music and then when the music stops race to find a star to stand on. You could gradually remove stars and have the kids be "out" if they can't get to a star when the music stops (as in musical chairs). Or you could play this game like a cake walk and put numbers on the stars. Then call out a number and whoever is standing on that number gets a prize. 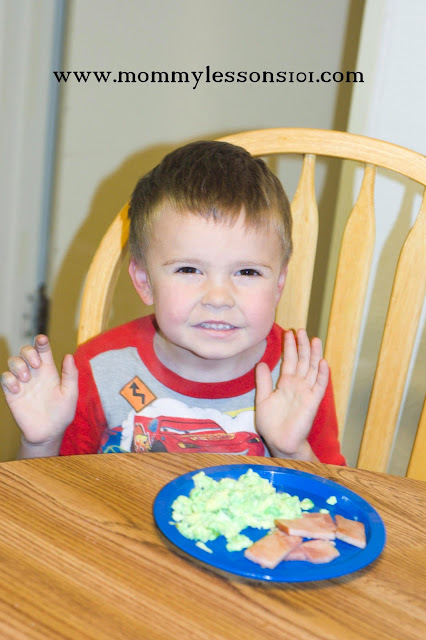 *We can't forget our favorite Dr. Seuss snack that we have every year--our own green eggs and ham. Simply add a little green food coloring to your scrambled eggs to turn them green! *Also check out this "Green Eggs and Ham" sight word game I made for my kids. And most important--have fun reading lots of books with your kids, for this is "Read Across America Day" after all! 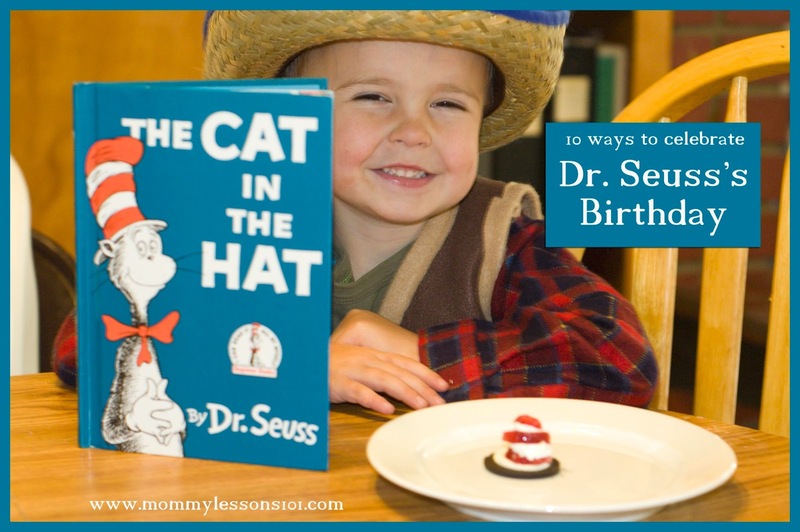 Check out our other posts about Dr. Seuss's Birthday here, and also check out my Dr. Seuss Pinterest Board for more ideas!